Easily add end users as CCs by requester or organization. 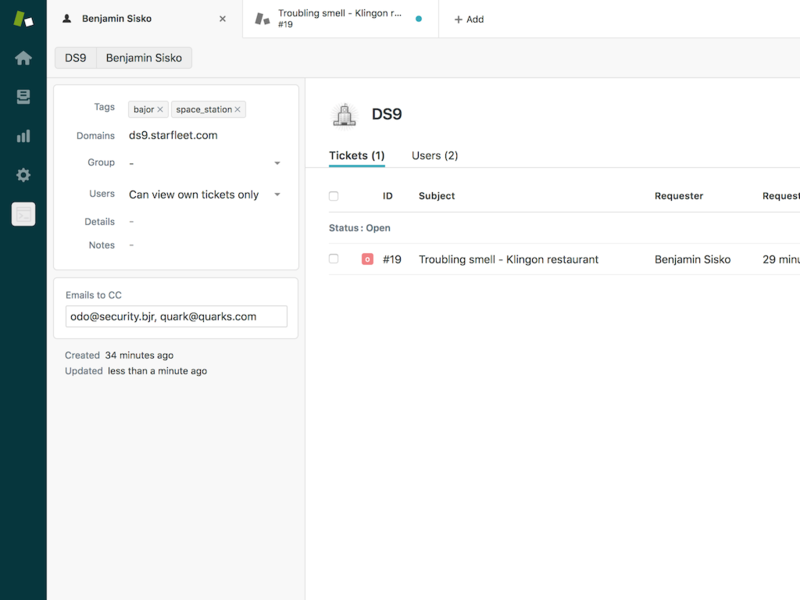 Carbon Copier creates a custom User field and a custom Organization field in your instance. Any email addresses added to those fields will get added as CCs on created tickets. Minimal setup, works out of the box. 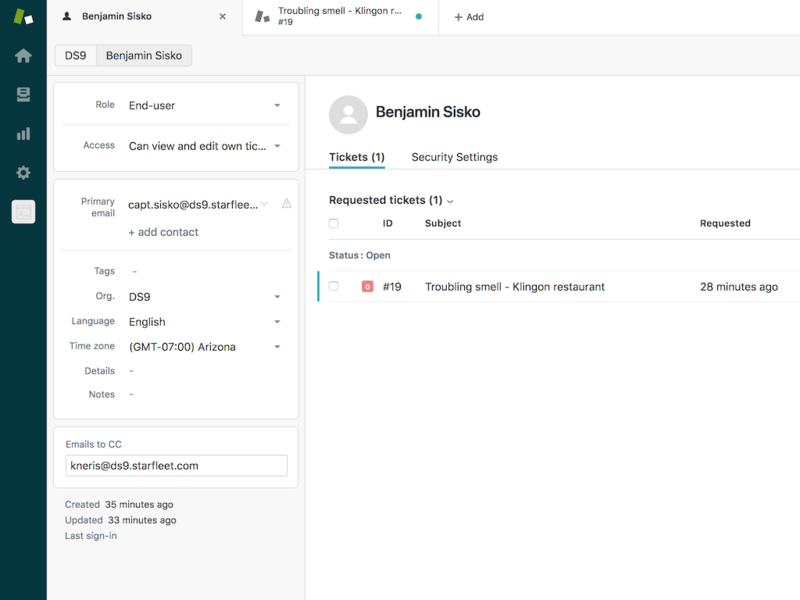 Enter your Zendesk subdomain, your email, and your API Token. After installation, Carbon Copier will create a new target, a trigger that uses it, a new custom Organization field, and a new User field (called 'Emails to CC'). 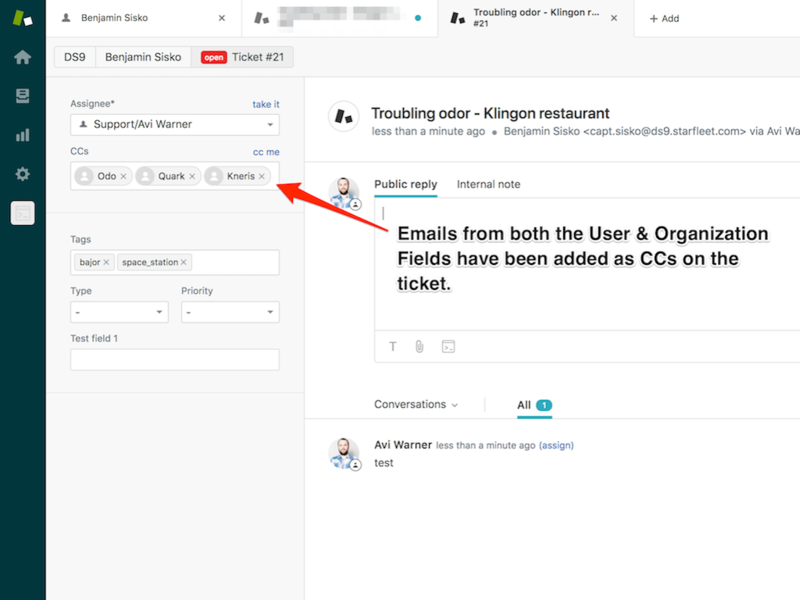 Add comma separated emails to either field, and when a ticket is created with that Organization or Requester respectively, those email addresses will be added as CCs.